Leadership & Equity Summit: Registration ends Monday! 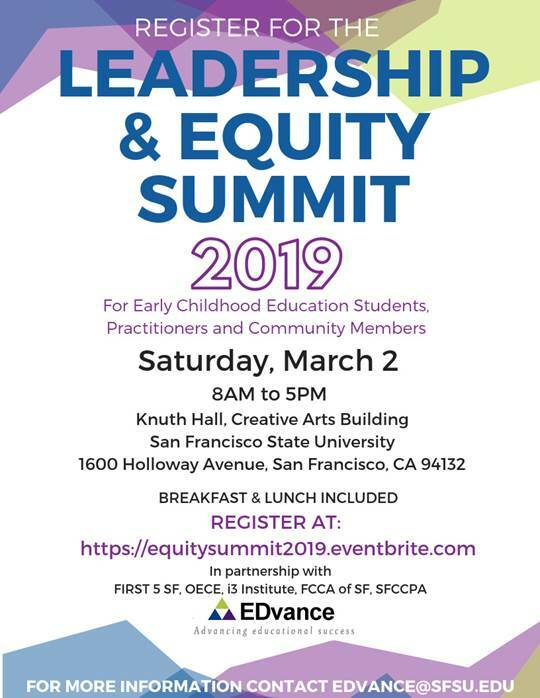 The Saturday, March 2 Early Childhood Education Leadership and Equity Summit is just around the corner. We welcome you to engage in dialogue and strategies focused on educational equity and leadership in early learning settings. Registration closes Monday — make sure you and your colleagues are registered today! 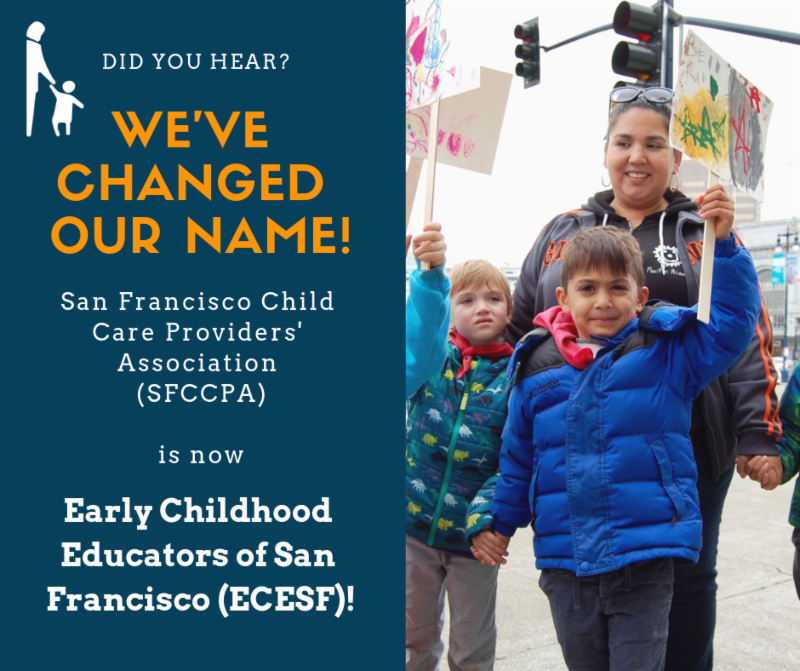 On Monday, February 25 ECESF Community Meeting participants will take part in a citywide evaluation of early care and education program and future possibilities. On Tuesday, March 12 ECESF has scheduled a special Community Meeting bringing Parents for Public Schools — San Francisco to present a workshop geared toward educators supporting families in the SFUSD kindergarten enrollment process. Registration and details for all three events below. OECE wants to hear from you to support the development of a citywide evaluation plan for early care and education. They would like community input on current program and future possibilities. Come give your input. Helping Families Understand Public School Enrollment and Round Two Assignments - a training workshop for those who work with families. This workshop is catered towards educators who work with families who have applied for kindergarten in San Francisco Unified School District (SFUSD) public schools and received their assignment letters. It will cover information relating to the elementary and middle school enrollment process.